Phillip R. Westmoreland is a professor at North Carolina State University, Raleigh NC, in the Department of Chemical and Biomolecular Engineering. During November 2015 until July 2016, he was Leverhulme Trust Visiting Professor in the Department of Mechanical Engineering at Imperial College. He was a Research Engineer in the coal-conversion program at Oak Ridge National Laboratory from 1974-79, was on the faculty of the Chemical Engineering Department at the University of Massachusetts Amherst from 1986-2009, and served at the National Science Foundation in 2006-2009. He is also Honorary Professor at Nanjing University of Technology and served as Professeur invité at the Université de Lorraine. He served as 2013 President of AIChE, the American Institute of Chemical Engineers, and is a currently a trustee of the educational nonprofit CACHE Corporation, having served as its president in 2004-06. 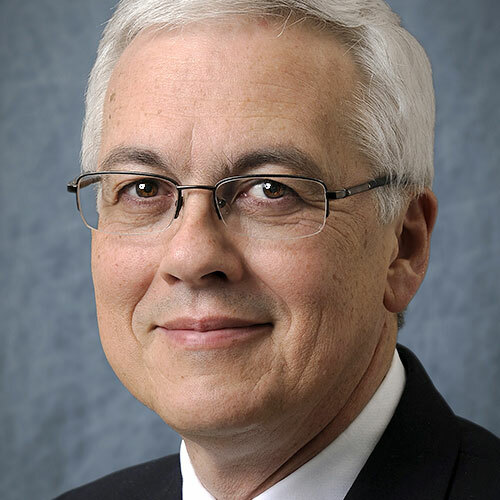 He is a past board member of the Combustion Institute (2002-2014), the Council for Chemical Research (2005-07), and AIChE (2009-11), and he was the founding Chair of AIChE’s Computational Molecular Science and Engineering Forum. Professor Westmoreland’s research focuses on reaction kinetics and reaction engineering. Results are obtained from using flame and pyrolysis experiments; molecular-beam mass spectrometry, computational quantum chemistry; and reactive-flow modeling. The main technology driver is clean energy from fossil and biofuels, but he has also been involved with developing fire-safe polymers, hypergolic rocket fuels, plasma processing of microelectronics, chemical looping, and PrIMe, an international data cyberinfrastructure. He is author or co-author of 111 peer-reviewed publications and five books. AIChE Institute Award for Excellence in Industrial Gases Technology, 2017. Leverhulme Trust Distinguished Visiting Professorship, London, United Kingdom, 2015-16. Professeur invité, Centre national de la recherche scientifique, Paris, France, 2015. Honorary Professor, Nanjing University of Technology, China, 2013. Phillip Morrison Lecturer, Case Western Reserve University, 2010. Director’s Award for Collaborative Integration, National Science Foundation (shared for Cyber-enabled Discovery and Innovation), 2009. Gary Leach Award, American Institute of Chemical Engineers (to the Centennial Celebration Organization Committee), 2008. George R. Lappin Award, American Institute of Chemical Engineers, 2007. Outstanding Senior Faculty Award, UMass Amherst College of Engineering, 2006. Fellow, American Institute of Chemical Engineers, 2005. David A. Shirley Award for Outstanding Scientific Achievement, Lawrence Berkeley Natlional Laboratory, 2005. William H. Corcoran Award, American Society for Engineering Education, 2002. Materials Science Academic Award, MSI, 2001. Discovery Magazine Awards, Top Ten Semifinalist for Technological Innovation, 2000. Magellan 3-Star Web Site Author Award, 1996. Outstanding Junior Faculty Award, UMass Amherst College of Engineering, 1992. BCR / R. A. Glenn Award for Best Paper, A.C.S. Fuel Chemistry Division, 1992. NATE Award (Central New England Section AIChE Tribute to Excellence), 1991. Presidential Young Investigator Award, National Science Foundation, 1990. General Electric Outstanding Teaching Award, UMass Amherst College of Engineering, 1990. Public Relations Award, American Institute of Chemical Engineers, 1977.